Add to this the new product in our current ranges from Carrera GO!!! 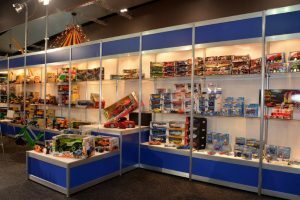 and Carrera First Cars 3 Slot Sets, Mickey and the Roadster Racers and Nintendo Mario Kart, to the new licensed Radio Control models from Ford, Jeep and Red Bull. Then add new Disney Princess ranges from Bullyland, this meant the stand was ‘bulging at the seams’ with new product to show buyers and retailers when they visited, which many 100’s did. 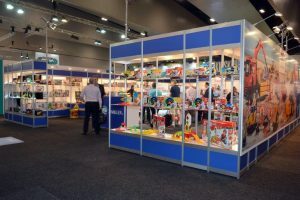 The comment from our Sales Manager, Glenn McLean says it all… “this was the best Toy Fair I have been to in five years!”.